With thanks to campaigners and influencers (Mother Pukka to name as example), more awareness is surrounding the subject that was once a taboo and caused families immense financial strain and overall pain, and I’ve always found it disheartening for companies to risk losing their trusted and talented personnel, rather than to try and find a two-way beneficial solution for both parties. The “all or nothing” approach from some employers is a thing of the past and although I’m in a new freelancing bubble, I do a little happy skip when I hear my friends’ companies have been accommodating – proving more companies are valuing the worth of their employees and their talents. I can’t speak from experience, as I didn’t return to my position after having Henry, as that decision was taken away from me before he was born. However, who knows if my ex-employer would have accommodated my part-time/flexible-hours request that I was already proposing in my mind? 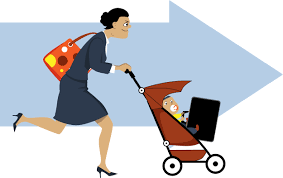 A question I will never know the answer to, but the most “flexible working” I had witnessed in my office was for one parent who had been authorised to start and finish 30 minutes early, twice a week, in order to get to her daughter’s nursery by 6pm. No-one worked part time and nobody job shared, and working from home was a rarity and only allowed for senior management. This is not about me or my new self employed direction, but to help people understand the difficulties new parents face, to help find solutions and approaches when returning to work, the negotiation of flexible working, or whether it’s for new (and understandably slightly vulnerable) mothers looking for a new job. 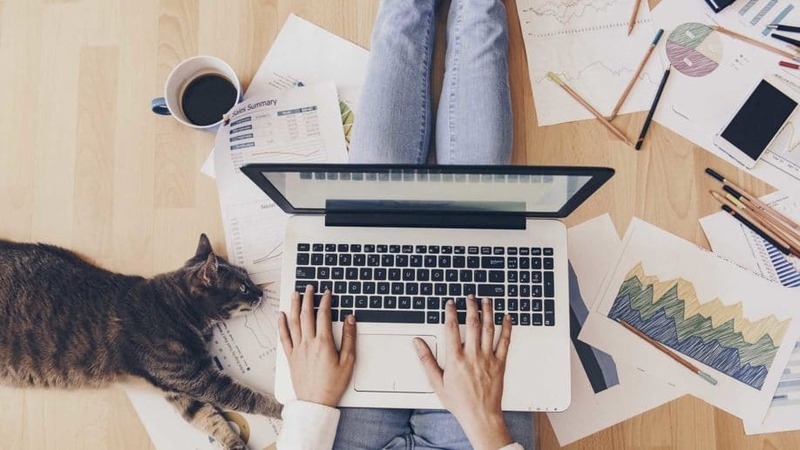 Having had time out for maternity leave can create a feeling of sheer “daunt” when it comes to updating CVs, looking for work and preparing for interviews. “Everyone’s “return to work” situations are different. The build up for a mother’s return-to-work can be an intense feeling of nerves and anxiety. Many mothers I speak to fear that the person covering their maternity leave is preferred over them. Others I’ve advised believe they have been over-looked for promotion whilst on maternity leave despite feeling they are in the ‘career prime’ of their lives. When there’s no proof of discrimination or ignorance can make such situations hard to cope with, I sadly have witnessed a lot of knocked confidence over the years. Some new mums I speak to have had no choice but to resign, because their employer has not accommodated an ounce of flexibility. In the fields I work in – predominantly in the financial sector – should one have access to a computer, internet, phone and quiet work space, in my view, could be in a position to offer an element of flexibility. I realise not all industries can offer this, but it is pleasing to see so many employers introducing flexible working and job sharing. We do however have to appreciate that a mother wanting part time hours can’t always expect an employer to spend resource on employing more staff (and paying their benefits) and making extra effort and arrangements to ensure the work is still done. You have to ask yourself, what’s in it for them? Why should they make additional arrangements for you to be “flexible”? Let’s not forget, sometimes, and unfortunately very presumptively, some employers may presume that you won’t want to return to work at all and changes to your department and working protocols are already in place. Some companies may find you, a parent, an inconvenience because occasionally you will need to leave early to collect a sick child from school, or you’ll want to leave early to get to that important nativity play or parent’s evening. Some days you may not make it in to the office at all if your little one has caught the pox! The biggest matter when I’m speaking to mothers returning to employment, is weighing up the pros and cons of returning to work at all. For many parents, by the time you have paid for child care costs and commuter travel etc, sadly, it doesn’t always seem viable to go back. If you tick that box, but still want to return to work, you need to decide what’s it for. Is it for your own identity and sanity? Is for adult interaction? Is it for the longer term career plan (when your kids go to school and thus ALL salary is yours again!)? Is it because you love your job and can’t wait to return and maybe to continue with your career progression? There’s no right and wrong, but what I do know is that everyone is different, everyone’s circumstances vary and every return-to-work-post-mat-leave is a unique situation. When returning to work, you will have to think about childcare. Can you afford a local nursery or childminder? Do you have family or friends who can help? Do you have willing grandparents who want to dedicate 1 or 2 days a week to bond with their grandchild (whilst saving you a day’s nursery fees)? Not everyone is lucky enough to have family to help out, and some genuinely don’t want their relatives bringing up their children (encouraging bad habits perhaps?!). What are the settling in sessions needed to ensure you feel comfortable leaving your baby with someone else and to ensure a smooth transition? What time would you have to leave work to get to your childminder in time for pick up? How early does your nursery open in order for you to catch your train to the office? Have you considered all logistics and financial implications? Your child care costs are not your employer’s problem, but the logistics are and if you present realistic, fair and well thought out options for how you can get to work (as close to on time as possible), do your job and still make the nursery opening and closing hours, then the chances are, that they will listen to you fairly, before making a decision either way, or before they agree to or negotiate your terms and requests. 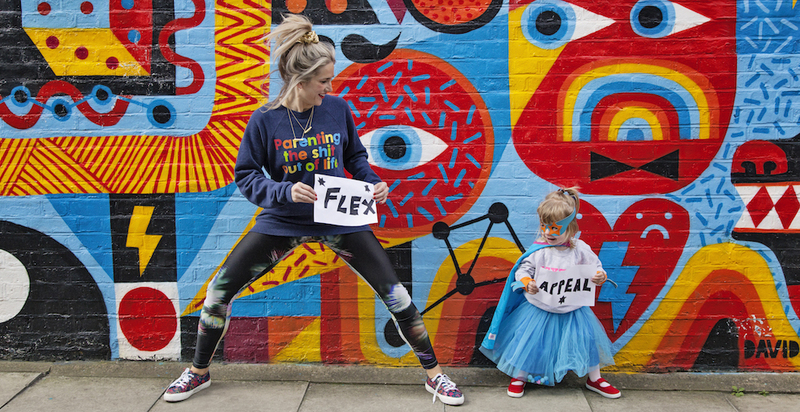 Photo credit: Anna Whitehouse, aka Mother Pukka, promoting her fantastic Flex Appeal campaign. 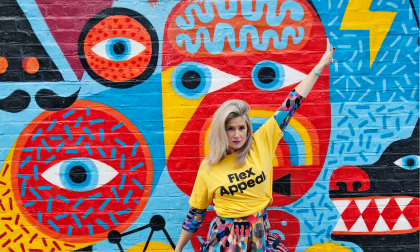 See her website, motherpukka.co.uk for helpful articles on how to ask for flexible working and to learn more about the Flex Appeal campaign. I would never tell anyone to leave their role, but if your company do not offer nor are willing to at least listen to your request, then are they the company you wish to progress your career at? Do they echo your beliefs in the importance of family? You must take at least two weeks off work after your baby is born. If you do not wish to take the full 52 weeks maternity leave, you must give at least 8 weeks’ notice that you are returning to work early. If you return to work after 26 weeks leave, then your employer must give you your original job back on the same terms. If you wish to change your hours, you have the right to make a request for flexible work, providing you have worked for your employer for at least 26 weeks. If you are unsure then always seek advice from Maternity Action, Citizens Advice Bureau and ACAS if you are unsure as to what your rights are. Rules and regulations often change and therefore it is important you know what your entitlements are and what support is available to you. ACAS have helped a number of people I know in redundancy, pregnancy and maternity situations. It’s a free and unbiased service, in the form of email and telephone support. “Where are all the part time jobs?” is the most common question I am asked by new mothers. A rare situation, but if there is another new parent in your company/team, and you both want to work part time or job share, then there is nothing stopping both of you creating a shared proposal for your management’s consideration. In my team, I employ a mother of two young children and give her the flexibility to work from home one day a week, and reduced hours for the days that she is in. She values what I do for her, and thus delivers a high standard and her productivity is excellent. There is a mutual respect and a trusted two way relationship. Parents who gets to their desk/post on time after the nursery and school drop off are super heros! Register for relevant job sites and make sure that your CV is up to date, and you tick the box saying you are only looking for part time work. Apply directly to online jobs and those advertised in other medias. Register with recruiters that operate specifically in the sector you want to work for. Meet them and remind them that you are still looking when appropriate. Contact your friends, family, and former colleagues (especially those who are also parents – they’ll understand your situation) and ask them if they can help you in your search. And finally, my personal favourite. Write a personalised letter to the Director or HR Manager of the companies you want to work for and send it to them, with your CV, in the post. If you think about it, most people will send an email to them in this digital world which often gets lost. Imagine how nice it will be for the recipient to receive a letter with your CV, and this will make you stand out from the crowd (‘the power of direct marketing’ as my sister would say!). HR will relish this and will receive your communication with special interest. Don’t want to go back to your job? Is it time for a change? If you want to start something new, then go for it! The truth is, a new career is a risk at any time of your life. You may decide to not upset the routine and security – because some believe too much change can be too overwhelming and daunting. It may seem like a lot to achieve, especially considering the full-time job of being a parent, but there is no doubt you will feel rewarded in so many ways when you end up doing a job you enjoy where you’re able to work around family commitments and rigorous parenting schedules. 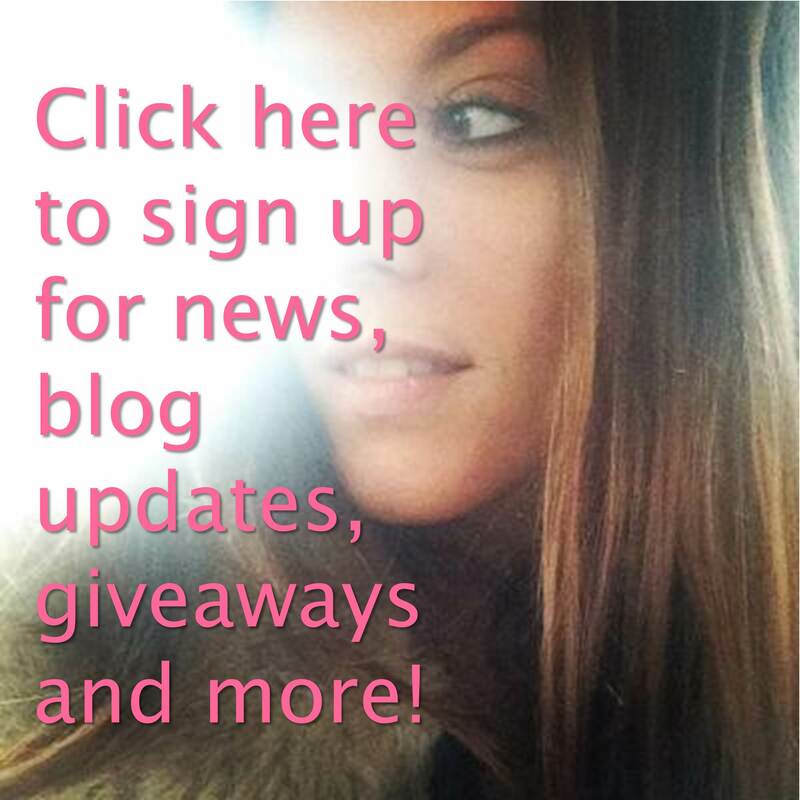 Following redundancy just before her maternity leave, my sister has become a professional blogger and a freelance marketing consultant on her own terms, to make sure that my nephew can be raised in the way that her and her husband choose. They’ve confided in me that certain luxuries have wavered, in order to adjust to the initial shock of a reduced household income, but with a few life adjustments here and there along with a dose of determination, life is back on track, the money is coming in again for her, and the enforced change is proving to be a blessing. Sometimes we have to take the plunge in life! Got a question for James? Please post your comments and questions below or via the social media link you arrived from! Alternatively, click here to visit the ACAS website and here for Maternity Action for further support and advice. 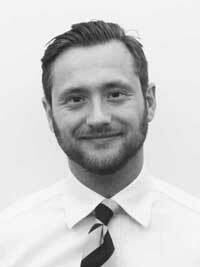 James Manders, MD of CassonX, career adviser and my beloved brother! I do hope this is useful and informative for you or a loved one. Please do share your experiences, comments and questions with us! Thanks for reading. Disclaimer: This blog post is for information purposes only. Anything stated as fact has been described to the best of knowledge available and may change at a later date after this post was published.